Another year, another mighty-mite golfer making his or her professional debut. You know the drill: You think about what you were doing at the age of the youngster, you look at what was going on in the world when the kid was born, you feel depressed. Ready? Here we go! 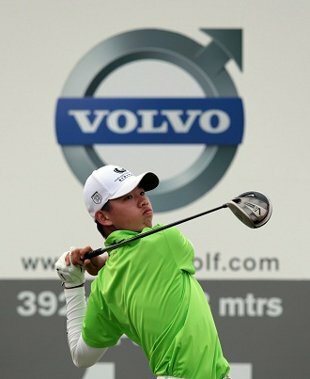 Guan Tian-lang, age 13, made his professional debut this week at the Volvo China Open. (Biggest cultural touchstones when he was born: "Saving Private Ryan," Britney Spears, Monica Lewinsky.) Sure, he didn't exactly torch the field, shooting a 77 to settle into a tie for 150th place, 12 strokes behind the leader, but hey: 13 years old. At first glance, Guan's inclusion in this week's 156-man field looks like an example of at best gimmickry and at worst outright gerrymandering: a ploy to solicit greater Chinese interest by throwing in an absurdly young talent far out of his depth. The move helps perpetuate a fallacy that China is poised to monopolise golf to the same degree that it has sports such as diving, even if little could be further from the truth. Despite a push toward golf, China has no players in the top 250 right now, and it could be a little while before Guan gets there. Still, the kid does have a legitimate game; he played his way into the Open by placing fourth in a qualifier and taking a spot as a promoted alternate. He won last year's world junior title by 11 shots. And, yes, he's younger than some of your socks. Enjoy your day!